3C16920 3Com SuperStack II 100Base-FX Fiber module for LinkSwitch 1000/3000 - MTMnet, Inc. 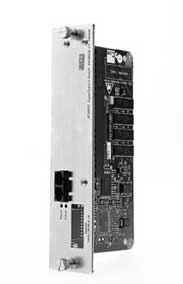 The 3Com 3C16920 Refurb LinkSwitch SuperStack II Switch 100BASE-FX Refurb module adds a fiber Fast Ethernet back-bone link to your switched workgroup. The easy-to-install dual module is an excellent choice for resilient connections in mission-critical networks or when multiple fiber backbone connections are needed to and from the stack. A single high-speed backbone link can be shared by multiple units in a stack. The 3Com 3C16920 Full-duplex Fast Ethernet provides 200 Mbps throughput and 2 kilometers distance on fiber. A single high-speed 100Mbps Fiber backbone link can be shared by multiple units in a stack.